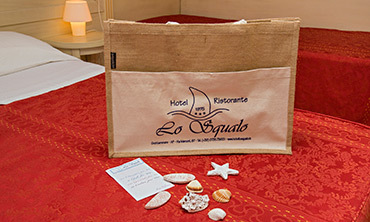 The Hotel Lo Squalo, 3 star hotel in Grottammare, has a lot of different type of bedrooms, that are suitable for any of your needs, all the same comfortable and welcoming. 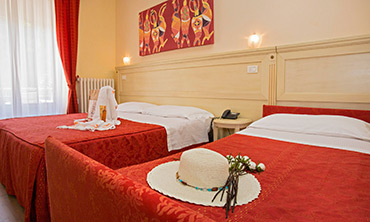 Our hotel has family rooms but also bedrooms suitable for who has motor disabilities, so anyone can spend wonderful holidays in Grottammare! 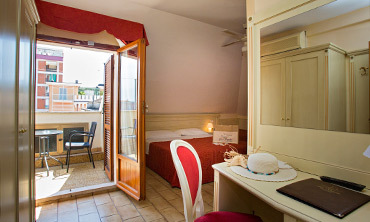 In the wide air conditioned restaurant room one can instead appreciate the best marchigiana cooking, that is directly managed by the owners, and that daily offers local and national dishes, meat or fish based. 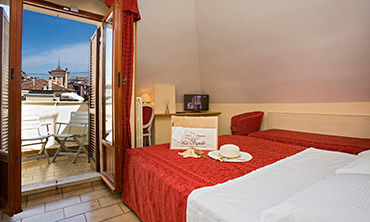 Among our services: bar, lift, mini baby-garden, outdoor veranda, private beach, bicycles to be rent for free. 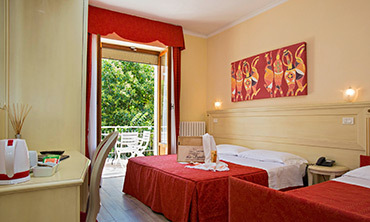 All the Rooms, comfortable and elegant, are equipped with every comfort.